You are here: Home / Obituaries / Jere A. Miller, Sr.
Jere A. Miller, Sr., 73, formerly of Lancaster, passed away Thursday, Sept. 2, 2010 at the VA Medical Center, Lebanon. Born on May 28, 1937 in Lancaster, he was the son of the late Robert and Ruth Schneider Miller. He graduated from Lancaster Catholic High School in 1955 and served in the U.S. Army, stationed in Germany. He was married for 16 years to Patricia Shelley Miller. Jere was terminal manager for Interstate Motor Freight System in Lancaster, as well as Louisville, KY and White Deer, PA. He also managed other terminals in York and Baltimore and Marty’s Express in Lancaster until retiring in 1992. He later worked as a security guard for M&M/Mars in Elizabethtown. Jere was an excellent cook and an avid fisherman. He also enjoyed hunting, dancing, crossword puzzles, and playing the lottery. He enjoyed spending time with his family and will be remembered for his sense of humor. In addition to his wife he is survived by: 5 children, Jere Miller, Jr. of Landisville, Joanne wife of Dr. Richard Gorman of Chambersburg, Jeffrey Miller husband of Louise of Lancaster, Julie wife of Robert Wash of Lititz, Jacquelyn wife of Michael Sweeney of Mercersburg; and 14 grandchildren. He was preceded in death by 2 brothers, James Miller and Robert Miller. A memorial service will be held at the Kearney A. Snyder Funeral Home, 141 E. Orange St., Lancaster on Tuesday Sept. 7, 2010 at 2 PM. In lieu of flowers, contributions may be sent to the VA Medical Center, 1700 South Lincoln Ave., Lebanon, PA 17042. 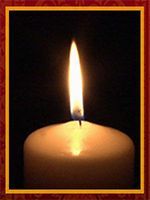 Offer Condolence for the family of Jere A. Miller, Sr.